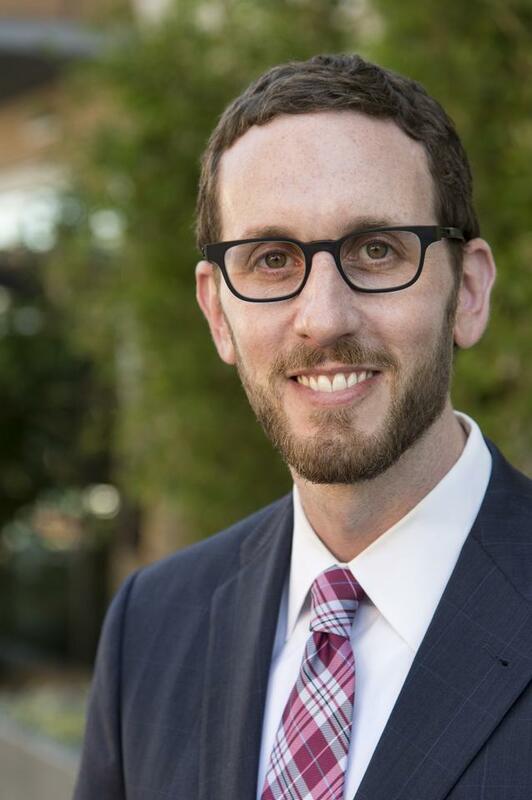 Scott Wiener, who has served District 8 on the San Francisco Board of Supervisors since 2011, was re-elected this week as chair of the San Francisco County Transportation Authority. The Authority was created in 1989 and it works closely with the Municipal Transportation Agency, funding and shepherding long-term projects such as the Van Ness and Geary bus improvements and the Central Subway. Wiener has long been a leader in transportation issues—probably because, unlike some elected officials, he actually rides the trains and buses. Streetsblog talked with Wiener about cycling, his goals for improving Muni, and general mobility in San Francisco. But first, late last December Supervisor Wiener pulled out his phone to check an appointment and got robbed. The thieves took his phone and then demanded money. Wiener got his phone back and managed to maneuver them in front of an ATM camera. Streetsblog started by asking him about that encounter and what it says about personal safety in San Francisco. Streetsblog: So you got the thieves on a security camera? Scott Wiener: It was either an incredibly smart move or an incredibly stupid move, but I got my phone back and the people are in custody. I was walking down 16th Street at Valencia and I had briefly taken my phone out to look at my calendar to see where I was going. A woman who was with two guys snatched the phone out of my hand and I was able to get it back from her by paying. So I got them to an ATM machine so that they would be on video; two of the three are now in custody. I’ve walked through 16th and Valencia probably hundreds or thousands of times and I’m very comfortable there. You just have to always be aware of who’s around you. But I feel like there’s a lot of shaming that goes on and there’s this mantra now that you’re never supposed to take your phone out in public because it makes you some kind of sitting duck for crime. That’s not realistic. Sometimes when I’m going from one location to another it’s my only opportunity to return phone calls. Even though I try to minimize that but even if people aren’t making calls or aren’t texting you have to take your phone out to look at your calendar to see where you’re going. Or you have to take your phone out to call a cab or Lyft or Uber or see when the next bus is coming. So yes we should all try to reduce the amount of time you have your phone out in public but you know, we are going to take our phones out. And so we just have to be aware of who’s around us and be safe. SB: Whenever I hear police say you shouldn’t take out your phone on the street or on the bus, my first thought is what’s the phone for if you’re not going to take it out? W: Crime is a problem in SF. It’s terrible to have just been victimized. It is a sense of violation. We need to be careful but we have to live our lives even if that puts you, to an extent, at risk of being victimized. SB: Riding my bus to City Hall I had a typical experience; someone was playing a radio loudly. That’s not the end of the world. But every other time I ride Muni there’s someone misbehaving. There’s a sense the system is out of control. W: We don’t have security on the buses in a systematic way. We have the drivers who have to be focused on driving. And they have a role to play in terms of keeping the inside of the bus safe but their main job is driving safely. And they’re not security guards. Then we have fare inspectors whose jobs are primarily to inspect fares. I don’t want to have police swarming all over our buses but we do need to make sure the police are periodically going on the buses—not that you’re going to see an officer every time you are on a bus, but periodically you will see one. It’s a little bit like having officers walk beats. If you see more of a police presence, people start to think “okay there are rules and they can be enforced.” I’d like to see more. There has been some additional police riding Muni, but there needs to be more. 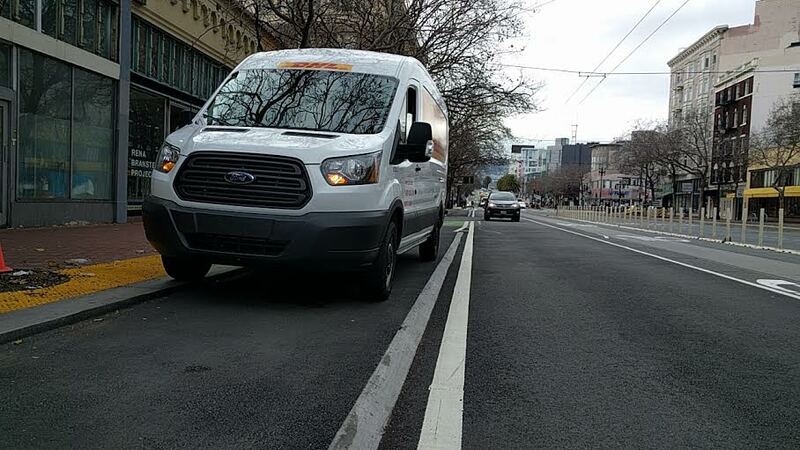 SB: I went for a tour of the new bicycle infrastructure in SF and almost immediately I saw a DHL truck just pull right onto the new raised bike lanes. I’ve actually seen this happen already right in front of SFPD and they don’t seem to act on it at all. What do we do about that? W: SFPD and MTA have really just failed when it comes to double parking enforcement; whether it’s double parking in traffic or on a bike lane. And I don’t say that lightly. I work closely with both agencies. I think there are certain things they do really well. But this is one area where I would give both agencies, to be charitable, probably a “D” and maybe an “F.” I feel for delivery truck drivers. It’s a really hard job in a city like SF. And there are times where they have to double park—where there’s no other way. And I get that. But there are too many times where you see a delivery truck just stopped in the middle lane of traffic when there is a loading zone available. In the Castro we have a ton of yellow zones. And sometimes they just don’t use them. There’s so many times where a cab or an Uber or a Lyft is picking up or dropping off a customer and there is a curb cut where they could pull in. And instead of doing that they just stop in the middle of traffic. And to me it’s just so unacceptable and they never get a ticket. I’ve had several oversight hearings. And I think it was SFPD that said “well when we see someone doing it we’ll tell them they have to move.” So the worst thing that’s going to happen to them, if they get caught, is someone is going to tell them to move? So how is that a disincentive to blocking traffic? SB: You said they get an “F.” When is it time to start firing people at these agencies if they’re failing? W: The Board of Supervisors has a bully-pulpit on this and that’s all. The law is what it is. We don’t have to pass any laws. It’s clear that it’s illegal. So we’ll keep pounding away and they claim to be doing more double parking enforcement. I take them at their word. But it’s not nearly enough. SB: Then how do we get to the mayor to do some more hiring and firing? W: It’s a question for the mayor. To be clear, I’m not advocating that anyone be fired. I know the people involved. They’re good people. And it’s not one person. There’s a culture that’s developed in SF over many, many, many years. And it’s hard to change. And also to be clear I’m not advocating that we’re going to eliminate all double parking. There are situations where a delivery truck can’t pull over. They’re are situations where a driver is running in to get something on a street where they’re not causing a problem by double parking. To me it’s about reducing the amount of double parking and also taking a look at the corridors where it causes real problems whether it’s for traffic or for Muni or for cyclists. I’m not saying we should be wiping double parking off the face of SF. It’s about taking a thoughtful approach. SB: Bike Yield was vetoed. What’s the next step? W: I hope that we can keep searching for ways to take a realistic approach in terms of bike enforcement and to really focus our scarce traffic enforcement resources on behaviors that are creating danger–cyclists who are violating rights of way, who are blowing through stop signs or red lights, who are doing things that actually put people in danger and really moving away from enforcement of these slow rolling stops that put no one in danger. We need more understanding of what it means to bike in a place like SF and that if you’re going to come to a complete and utter stop and put your foot down at every single stop sign even if there’s nobody else around it’s just not realistic. It’s not how people operate in the real world and we need to be making it easier for people to bike, not harder. SB: So you support a pilot project? W: Yeah. I know there was discussion in committee of a pilot and I would support. Perhaps a pilot on the Wiggle. It’s not my first choice but it’s certainly better than the Status Quo. SB: It seems like the mayor’s office was floating that as a possible compromise? W: I believe Supervisor Cohen may have mentioned that as well. That seems like a good path. SB: Pagoda Theater Site. I know you’re a big supporter of expanding subway. What do we have to do to keep sites available for the Central Subway extension? W: I’ve been frustrated because it felt like there was just inertia setting in to securing a site to have a North Beach station. And the fact that we bored the tunnel all the way there and you’re talking about, whatever the price—whether it’s a $6 million dollar piece of property, or either or ten, that’s a rounding error in the overall scope of this $1.5 billion dollar subway project. So we have a $1.5 billion subway project and we could add say six or seven or eight million to that $1.5 billion budget to secure a site so that we can extend it pretty easily to North Beach. And why in God’s name would we not just make that a high priority and lock down that site and then put together the funding to actually build the station? So it was very frustrating to me that it felt like it was slipping away. So when Supervisor Christensen and I announced that we wanted the department of real estate to appraise the property, the mayor, to his credit, got engaged and I think he’s supportive. As I understand it, there is another site that MTA is looking at that the tunnel goes to. To me there’s nothing magical about the Pagoda theater. It just made sense because it’s a vacant site where we extract the machines, but if there’s an adjacent site that works as well, then that’s fine with me. W: As I understand it, yes. SB: The San Francisco Transit Riders Union brought up the problem of three N-Judahs in a row. Bunching of transit vehicles seems like a perennial problem in SF. Why? W: MTA has lacked sufficient street level management for a long time. They’ve been trying to rectify it but there’s no real replacement for having people on the street who are pro-actively managing the lines and saying “you know, hold on, stop, you need to wait a few minutes because you’re bunched.” There should never be a situation where two buses on the same line are riding behind each other. It doesn’t make any sense whatsoever. SB: I’ve seen that happen with buses in other cities. I’ve never seen it happen with trains. Especially in a subway tunnel, as it does with the N-Judah. W: It’s frustrating and I don’t pretend to have the answer on how to fix it. But I know it’s fixable. SB: Is there anything you’d like to add. Stuff you’d like to get done with Muni? W: I want to see Van Ness and Geary BRT move to completion. I want us to move on to other BRT projects. We need to move a lot faster on those projects. We can’t keep doing this whole ten-years of environmental clearance. People complain about California environmental law. But it’s not a CEQA problem. It’s a San Francisco problem. There’s nothing in CEQA that requires us to take that long to do environmental clearance on one bus line project. It’s San Francisco and our inability sometimes to conduct a process with a beginning, middle and end. We need to get much more efficient in moving these important transit projects forward through environmental clearance and through design. The city’s growing and we’re getting so congested and we have to transform our transit system. SB: Okay. Thanks for your time. It’s a pity California realpolitik is pushing Wiener towards the state Senate. I’d rather see him as mayor. 2019 seems so very far away . . . I was disappointed he didn’t run in 2015. I like most of what Supervisor Wiener has done since elected, but in this interview he comes across as tired and passionless. Is he excited by the challenges facing San Francisco, or ground down by the endless delaying tactics and corruption of this city’s political establishment? Sometimes it feels like of all the elected officials at city hall, Supervisor Wiener is the only man who seems to get it, he seems to be the only one who understands the challenges this city faces, and solutions that need to happen, especially when it comes to transportation whether its the need for safer more PROTECTED bike lanes, or the need to improve reliability and efficiency of Muni, it just seems he’s the only one that gets it, and like me, he wants to get things done efficiently without the STUPID IRRATIONAL nonsense some of these improvements have to put up with every single day. I just wish there were more people like him, I just only wish he would run for mayor rather than the state senate. San Francisco MORE THAN EVER needs leadership from people like Scott Wiener who gets it! Really appreciate hearing from Scott Wiener, and wish he’d run for mayor! Let’s elect Jane Kim to State Senate and keep SW available for the Mayor’s office. Scott is all marketing. I live in District 8. We have been without a leader who represents us for 7 years. Crime is up, MUNI has gotten much worse. He panders to people about housing but nothing gets done. His pet pork projects of $8 Million to widen 2 blocks of Castro Street and $25 Million to renovate Dolores Park have been extremely disruptive. The Castro Shopping area now has higher vacancy rates than before and Dolores Park’s only improvement is the playground. Is District 8 in better shape than it was 7 years ago? NO!!!! Combining the Muicipal Railway with Dept of Parking & Traffic was a collosal mistake. It created the MTA which now is fed by parking money making the MTA an impregnable agency with a constant source of money. Half of the 7th floor at 1 S. Van Ness should be fired tomorrow. Instead of designing apps for iphones so gawd ferbid, riders dont have to carry one of those heavy clipper cards, they should be designing apps to keep the buses from bunching and getting the damnable buses cleaned. All public tranist should serve one question: “How can they improve the passenger experience?” *Muni sells more bicycles than anyone* The muniserable experience is why I got a used bike a year ago.